When Hippocrates wrote, “Let food be thy medicine,” he may have been referring to dark chocolate, which has such a wide array of cardiovascular benefits that the BaleDoneen Method ® prescribes 7 grams of dark chocolate daily (one small square) for heart attack and stroke prevention. Nibbling on the sweet treat may also protect against cancer, some studies suggest. 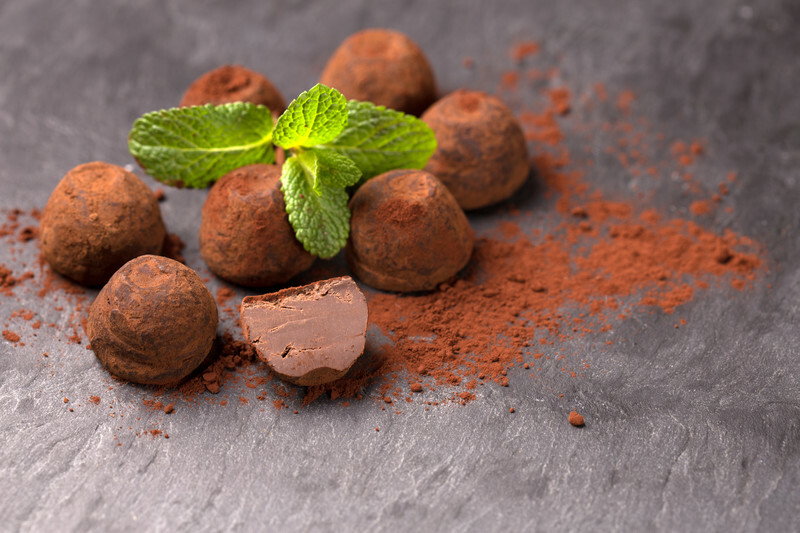 Derived from the pods of the cacao tree, whose botanical name, theobroma means “food of the gods,” dark chocolate is rich in flavanols, disease-fighting antioxidant compounds also found in tea, wine, fruits and vegetables. Here’s a look at science-backed reasons why eating dark chocolate (which has a much higher cacao content than milk chocolate) can literally do your heart good. • Chocolate may help prevent irregular heartbeats. In a new Harvard study that included more than 55,000 people, eating moderate amount of chocolate lowered risk for atrial fibrillation (AF), a common and dangerous type of heart arrhythmia that elevates risk for stroke, heart failure, cognitive decline, dementia and early death. The researchers tracked participants for 13 years and found that those who consumed two to six one-ounce servings of chocolate a week had a 20% lower rate of AF, compared to people who ate chocolate less than once a month, even when other risk factors were taken into account. Results were similar for both men and women, report the researchers, who also report that eating large amounts of the high-calorie treat is not recommended because that could lead to weight gain and metabolic syndrome (a cluster of heart attack and diabetes risk factors). • Lower risk for heart attacks and strokes. In a study of nearly 20,000 people, ages 35 to 65, those who ate the most chocolate had a 39% lower risk for heart attack and stroke. Participants were tracked for about eight years. The researchers also linked chocolate consumption to lower blood pressure, a factor that may explain its protective properties, since high blood pressure is the leading risk for stroke and a major contributor to heart attacks. While these findings may sound like license to pig out on the sweet treat, the study also reported that the people who ate the most chocolate consumed an average of 7 grams daily, which is the amount the BaleDoneen Method recommends. • Protection against high blood pressure during pregnancy. A Yale study of 2,291 pregnant women found that who ate more than five servings of chocolate a week reduced their risk of developing pre-eclampsia, pregnancy-induced high blood pressure, by up to 40 percent, compared to women who ate less than one serving a week. Pre-eclampsia is a potentially life-threatening pregnancy complication that affects about 5% of American moms-to-be. Women who develop it are at increased risk for heart disease later in life. The researchers attribute the protective qualities of chocolate to one of the compounds it contains: theobromine. • Cardiovascular disease prevention. Researchers first discovered that chocolate can enhance heart health from studies of the Kuna Indians of Panama’s San Blas islands, who rarely develop cardiovascular disease (CVD) or high blood pressure. Yet if they moved to Panama City and gave up their indigenous diet, both disorders struck at typical Western rates, showing that it’s not their genes that were protecting them. Kuna who remained on the islands drank up to four cups a day of a home brew of flavanol-rich dried and ground cocoa beans daily, the National Institutes of Health reports. • Healthier levels of cholesterol and other markers of heart health. Products rich in cacao flavanols (such as dark chocolate or cocoa) may reduce inflammation, triglycerides and insulin resistance (the root cause of almost all cases of type 2 diabetes, as well as 70% of heart attacks), according to an analysis of clinical trials that included more than 1,100 people. The researchers also linked eating these foods to healthier levels of HDL (good) and LDL (bad) cholesterol, and several other studies have similar findings.